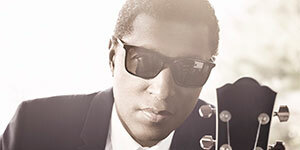 Music producer, songwriter, and musician Kenny “Babyface” Edmonds has won 11 Grammy® Awards and received over 30 Grammy® Award nominations throughout his incredible career. His work includes more than 125 Top 10 R&B and pop hits, 42 R&B No. 1 hits and 51 Top 10 pop hits (including 16 No. 1’s). In turn, those stats have generated cumulative single and album sales of more than 500 million units worldwide. See Kenny "Babyface" Edmonds perform some of his top hits at The State on July 8, 2016! Babyface’s multifaceted additions to the music industry have contributed to the successes of many popular artists throughout the past several decades, including Toni Braxton, Boyz II Men, Whitney Houston, and Madonna. Before he realized his talents as a songwriter, Babyface dabbled as an instrumentalist—specifically, on keyboard and guitar—with funk performer Bootsy Collins (who dubbed him “Babyface” due to his youthful appearance), with the soul group Manchild, and with the post-disco group The Deele. Babyface’s first notable songwriting hit was “Slow Jam,” which he helped write for the disco group Midnight Star in 1983; this song became a major success and helped Midnight Star’s album No Parking on the Dance Floor skyrocket to double-platinum. Some of his other early songwriting successes include songs for Bobby Brown (“Every Little Step”) and Sheena Easton (“The Lover in Me”). In 1989, Babyface co-founded a record company, LaFace Records, with Antonio “L.A.” Reid, another member of The Deele. Their company was the start of a lucrative producing and songwriting partnership, during which LaFace–named as a combination of the duo’s nicknames–helped jumpstart the careers of a number of successful artists, such as TLC, OutKast, Usher, and Toni Braxton. Babyface went on to have a long creative partnership with Braxton, during which he co-wrote several of her albums and co-released the 2014 album Love, Marriage & Divorce, which includes the hit single “Hurt You” (check out the music video of "Hurt You"). Since the 1990s, Babyface has produced and written/co-written for a considerable number of prominent names in the music industry, such as Whitney Houston (“I’m Your Baby Tonight”) and Boyz II Men (“End of the Road” and “I’ll Make Love to You”). His talents transcend musical genres, as his credits also encompass dance pop music (P!nk’s Can’t Take Me Home and Madonna’s “Take a Bow”), rock (Eric Clapton’s "Change the World, see Babyface perform “Change the World”) and traditional pop (Barbra Streisand’s Partners). Babyface continues to lend his songwriting and producing talents to current Top 40 albums with artists such as Ariana Grande, Lil Wayne, and Colbie Caillat. Babyface’s illustrious career has earned him an impressive number of awards. He won at least one Grammy® Award every year from 1993-1998, and recently earned two more for his newest albums with Alicia Keys and Toni Braxton. His accolades include three awards for best song, four for best album, three consecutive awards for Producer of the Year, and one for vocal performance. 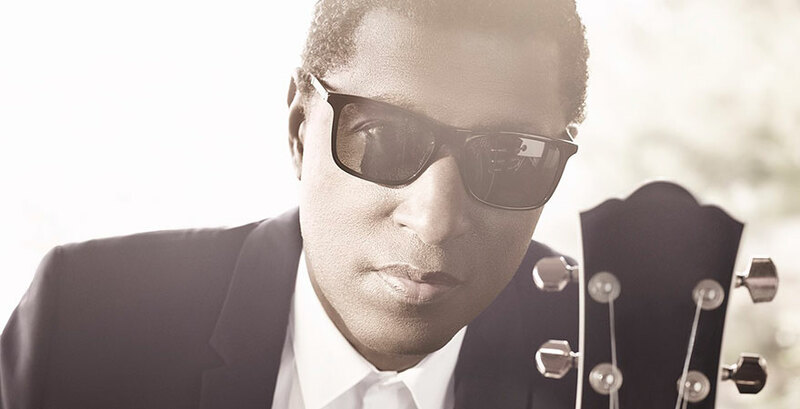 Babyface’s newest album, Return of the Tender Lover (2015), is his first solo album in seven years and pays tribute to his popular second album, Tender Lover, which introduced huge hits like “Whip Appeal.” See Kenny "Babyface" Edmonds live in concert as he performs songs from his new album as well as the hit songs you know and love at State Theatre New Jersey on July 8, 2016.